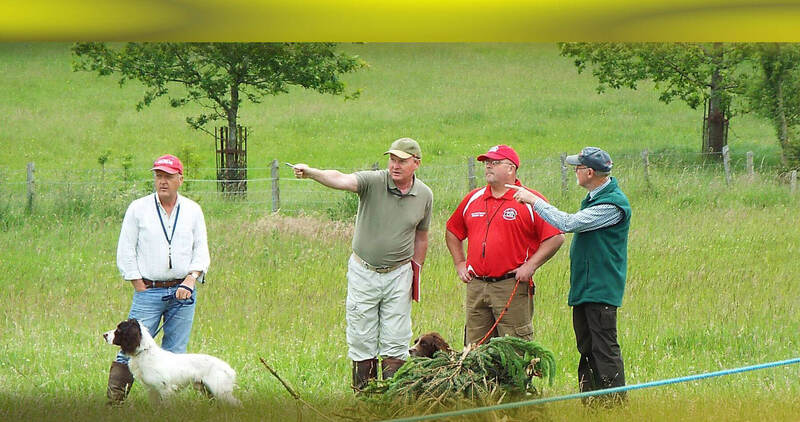 All levels of training from novice handlers through to owners who wish to compete with their dogs. Our courses are designed so that you succeed in your training, not fail, and that you build your relationship with your dog in a positive approach. For ALL breeds of Dog. Ffynongain Kennels is a small kennel run with quality in mind, from our own gundog's to the pups. We aim for the best, with over 38 years experience in gundogs we hope we can offer everything you need. 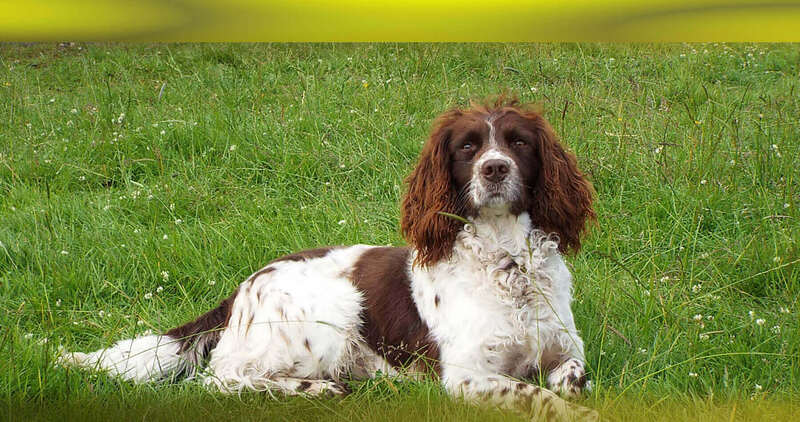 We are Breeders and producers of top quality sporting gundogs and strongly believe that the principals for training are the same for all breeds. 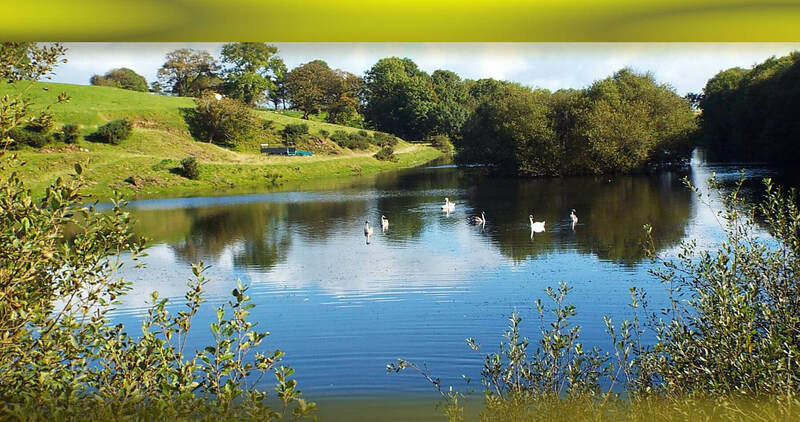 Our kennel's are based in St Clears in the wonderful Carmarthenshire countryside of West Wales, ideally suited to Field Sports, with easy access to the M4. FFynongain Gundogs was set up to provide top quality gundogs with proven work and trainability with All of our dogs are from the best bloodlines. The kennels have only been set up over 38 years, so naturally we have built a reputation for Quality dogs. My grandfather trained and bred Irish Setters and Welsh Springer Spaniels and that's were my love of dogs began. In the early days I did not compete but, in 1992 took part in a Trial judged by Mr Keith Earlson, he kindly placed my Labrador and commented about how nicely he hunted. As a result of this all of our dogs have been trained in the same way, first we let them hunt and then we train them, rather than concentrating on the Training first. 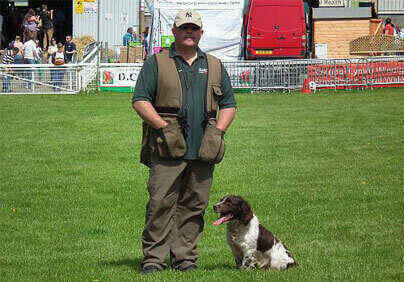 Ffynongain Gundogs are available for demonstrations. Please contact us for more details.i. I would like to say big thank you to all of you that have supported and continue to, myself FFynongain gundogs and St Clears dog training club throughout the years.